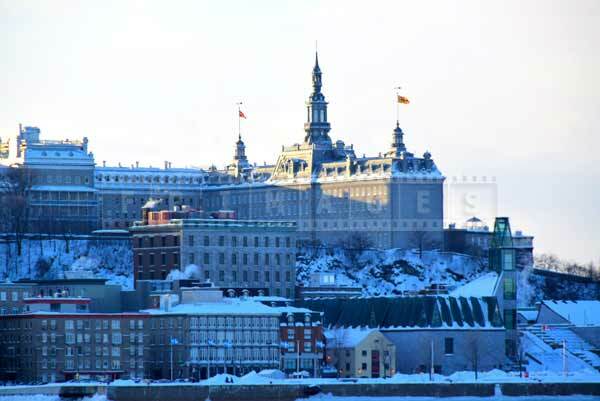 Levis to Quebec city ferry crossing is a great way to reach Quebec city and arrive right into the heart of its historic old town. 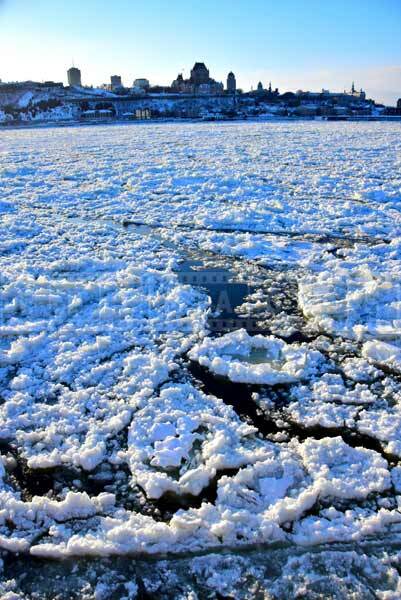 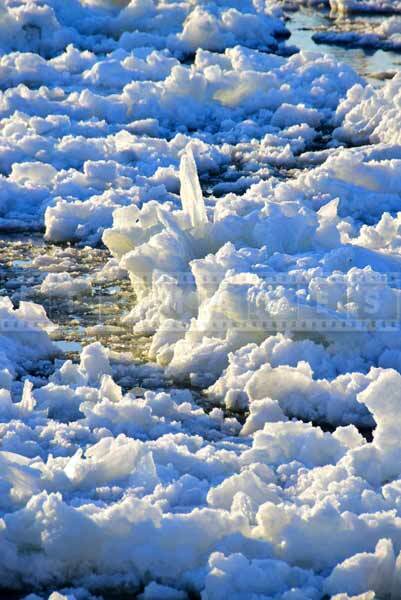 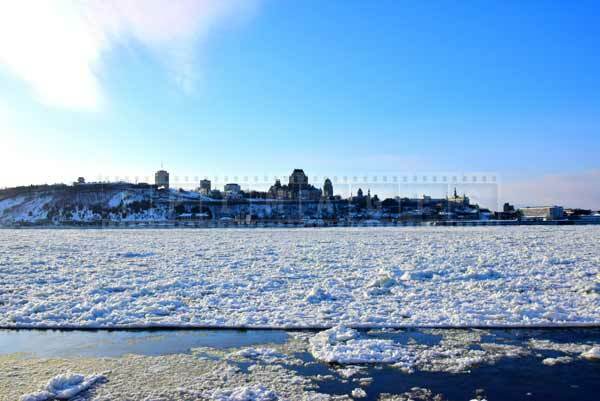 Ferry operates year round and in winter time this road trip idea is truly unique as it allows you to experience challenging conditions of St. Lawrence river covered with flowing ice. 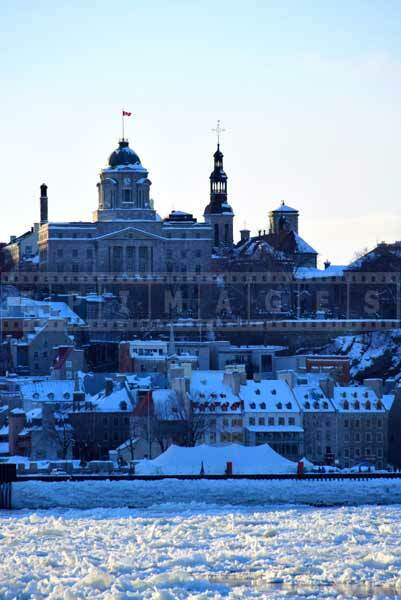 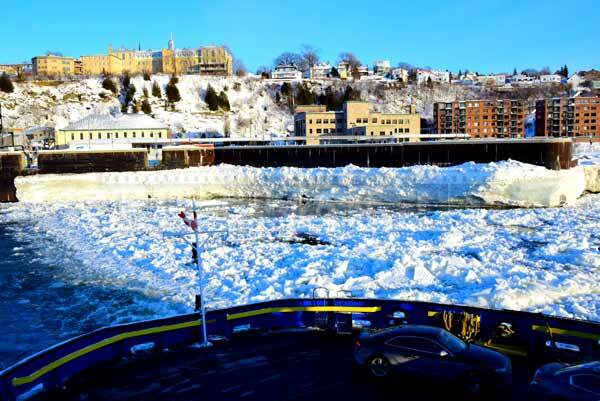 Levis-Quebec city ferry crossing in winter time is a scenic road trip idea that will allow you to take great travel images of beautiful old town and St. Lawrence river. 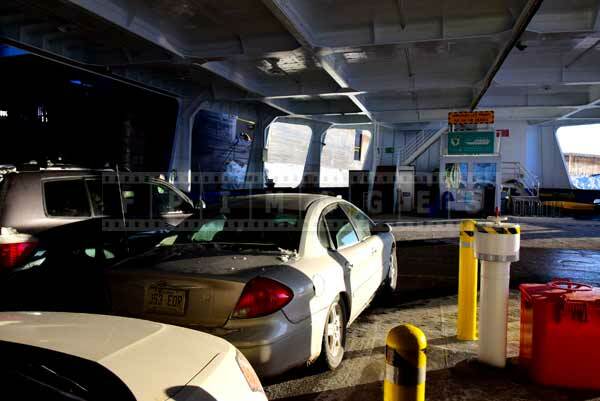 The ferry crosses the river every 30 minutes and the fee is about $11 for a car with two passengers. 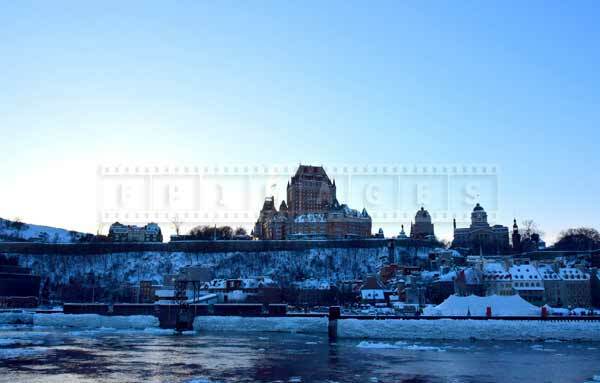 This is a nice break from highway driving and a great and romantic way to reach downtown. 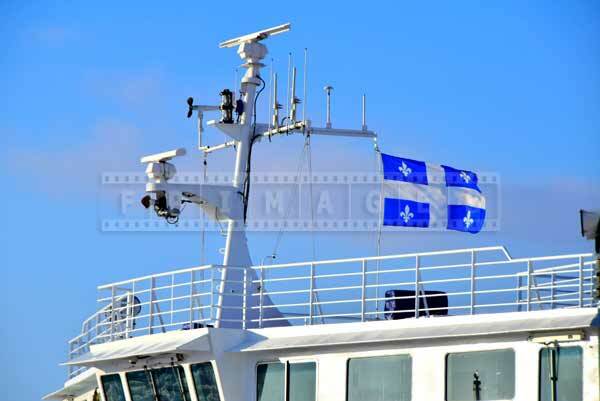 FPImages shares 22 travel images of Levis-Quebec city ferry crossing and encourages travelers to try this unique travel experience. 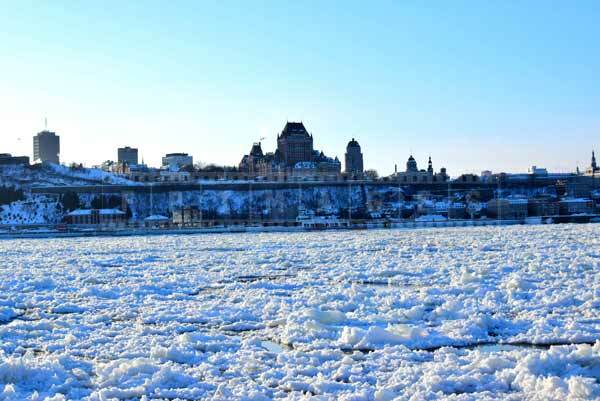 Winters in Quebec are very cold, so if you plan being on the deck during crossing plan to bundle up to withstand temperatures of around -20C with wind. 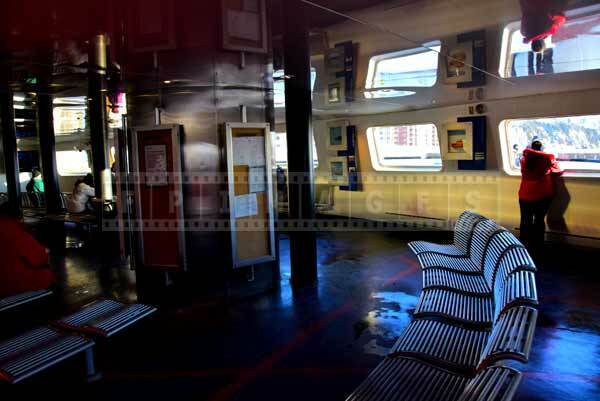 Ferry offers warm interior space with cafeteria, vending machines and washrooms for those that wish to stay warm. 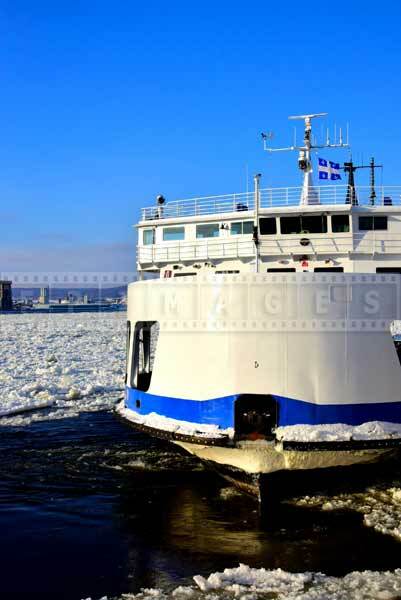 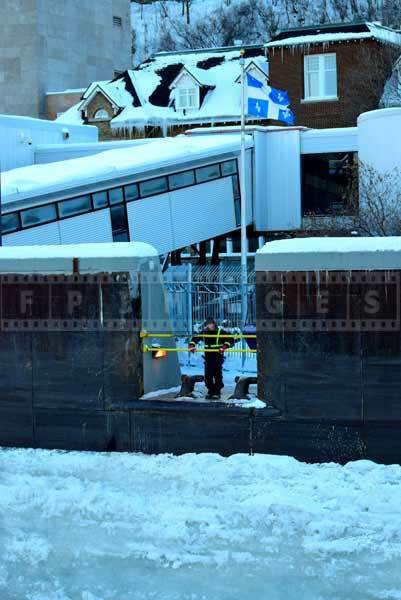 Levis Quebec city ferry is a Ro-Ro type of vessel that is about 60 meters long and 22 meters wide. 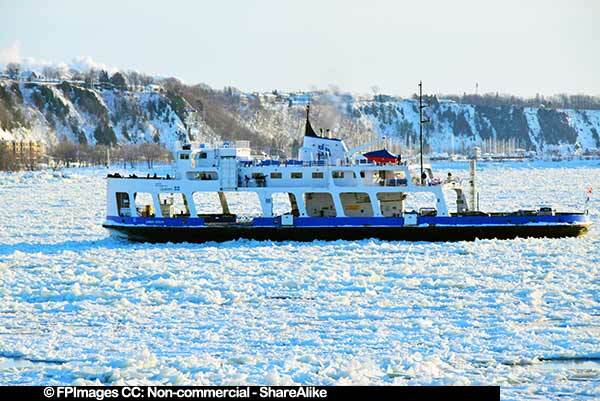 Ships were built in the 1970-s but are well maintained according to Transport Canada regulations. 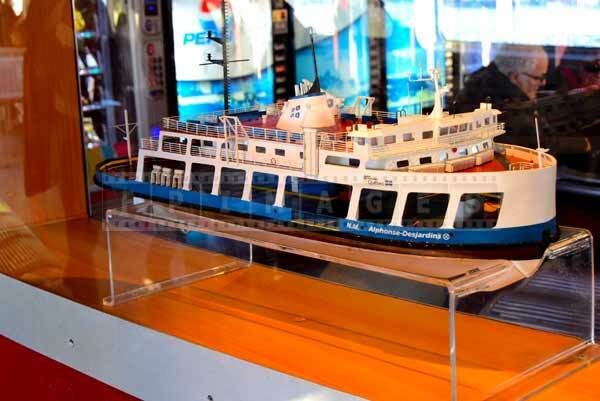 Ship capacity is 55 cars and 700 passengers. 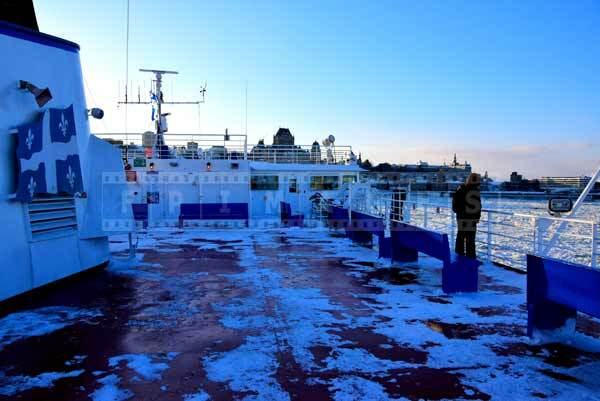 The ship speed is about 12.5 knots. 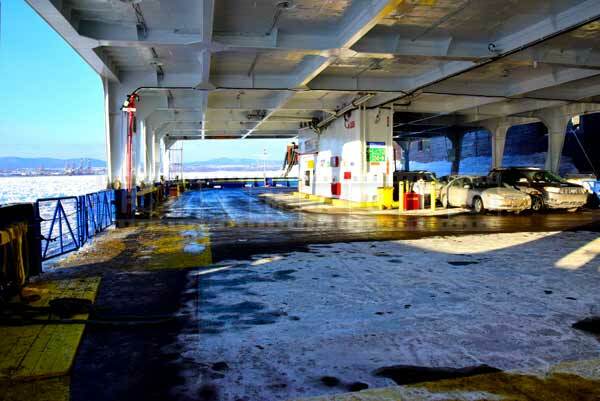 Total crossing time is about 15-20 minutes. 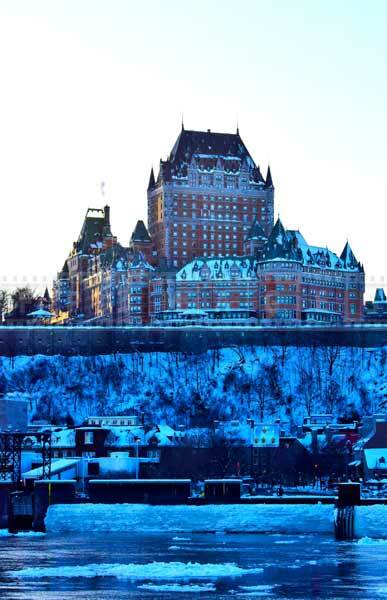 Quebec city is a must see destination especially in winter in Canada. 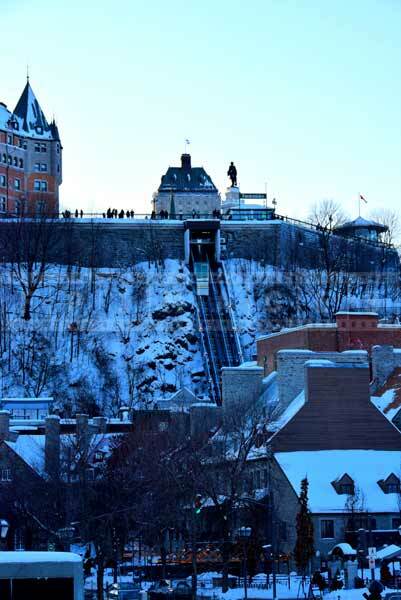 Quebec winter carnival in early February draws many visitors. 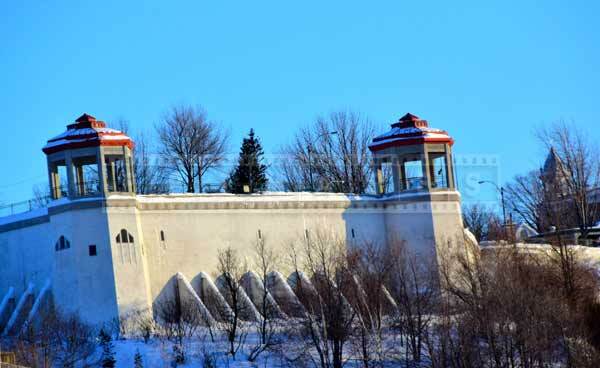 People come to the famous winter fair, ice palace, parades and go for romantic walks in picturesque old town. 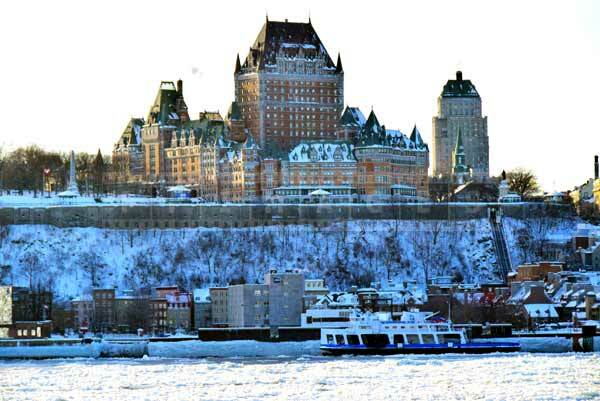 Taking Levis-Quebec city ferry will add to these experiences and must be included in a list of road trip ideas.